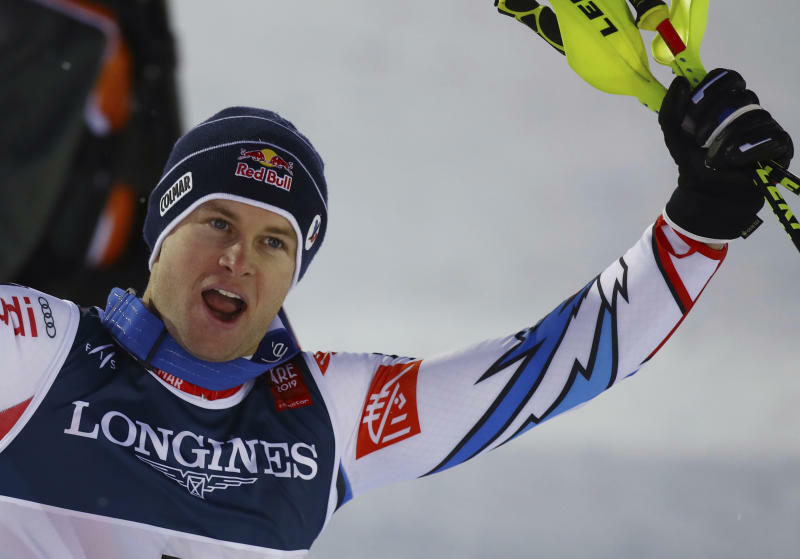 ARE, Sweden (AP) — With the Alpine combined possibly getting axed from major skiing championships, Alexis Pinturault had one final chance to assert his long-time dominance of the event. It was Pinturault's first individual gold medal at a major championship. And that perhaps explains why the combined is under threat as the International Ski Federation decides on the future of Alpine skiing's original Olympic discipline. FIS could replace Alpine combined with parallel slalom racing at future Olympics and world championships. Pinturault said he would be "sad" to see the combined disappear from the schedule. That's not a surprise, given he has won four of the past five World Cup combined titles. "There's been a lot of years where I have fallen on difficult times in my career as an athlete," said Pinturault, who cried after failing to win a gold medal at the worlds in St. Moritz, Switzerland, in 2017. "But it has allowed me to learn, to persevere." 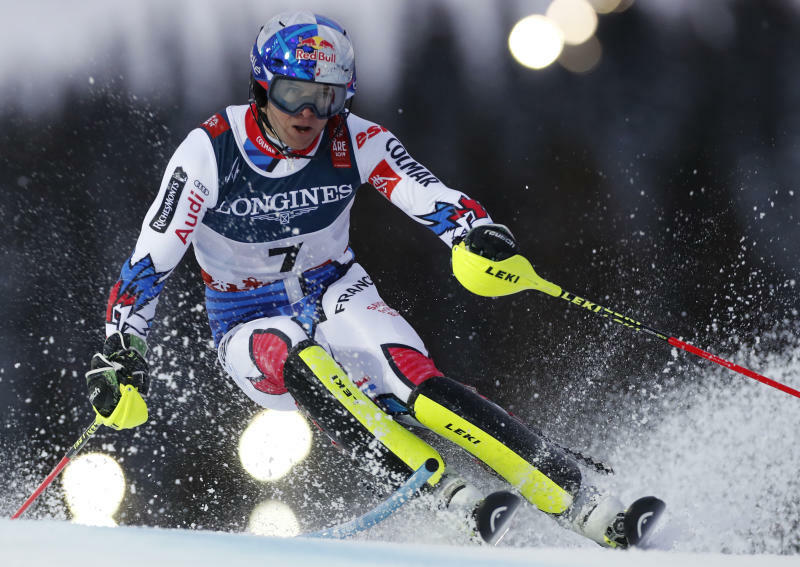 Pinturault, who describes himself as "French-Norwegian" because his mother, Hege, is from Norway, was aided by the absence of Marcel Hirscher, the Olympic champion in combined and a seven-time overall World Cup champion. Hirscher was resting up ahead of the giant slalom and slalom at the end of the week. With Mikaela Shiffrin skipping the women's combined last week, the world's elite skiers have turned their backs on the event. "I see the issues with it," Ted Ligety, the Olympic gold medalist in combined in 2006, told The Associated Press. "It's hard to watch. It's not the most compelling event." While Pinturault's victory hardly came as a surprise, Hadalin's silver certainly did as he hasn't finished in the top five in any discipline on the World Cup circuit. "It's unbelievable. I just cannot describe my feelings," said Hadalin, who was in tears after his silver was confirmed. Schwarz, the winner of the only World Cup combined race this season, won his first individual medal of any color at a major championship. 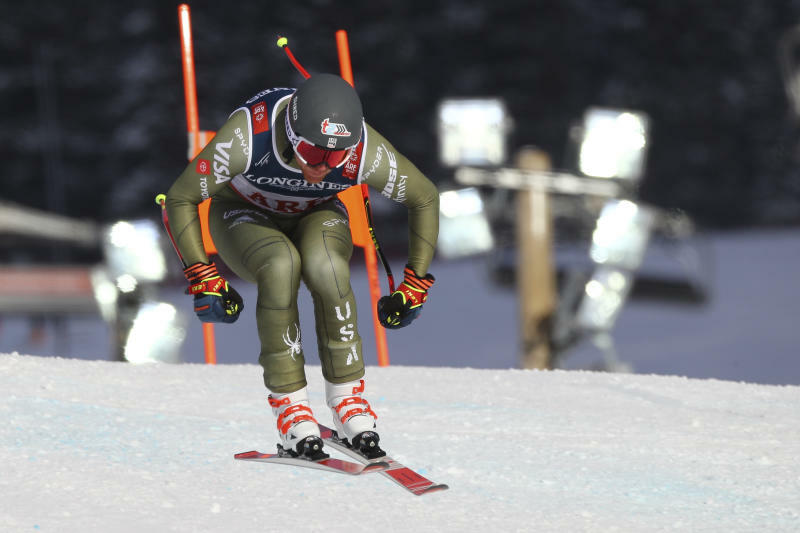 Ryan Cochran-Siegle, the latest member of the "Skiing Cochrans" family from the United States, fell from second place after the downhill to an 18th-place finish. His mother, Barbara Ann, who won the slalom at the 1972 Olympics, was in the crowd.